It was around four months ago that Samsung launched the Galaxy J4 in India without any fanfare. The Galaxy J4 came with a traditional Samsung design at a time when the company released the Galaxy J6 as its cheapest phone with an Infinity display, but that’s something Samsung might be fixing with the upcoming Galaxy J4+. 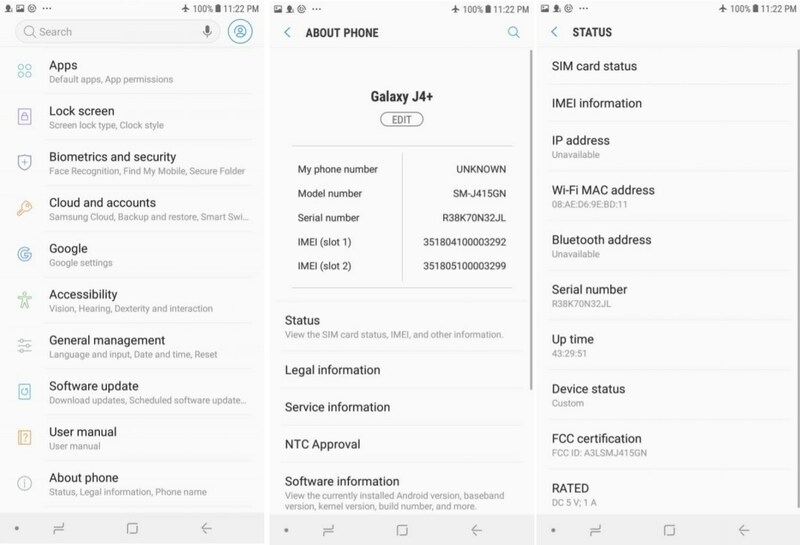 The Galaxy J4+, which could launch in some markets as the Galaxy J4 Prime, has been approved by the FCC recently. The FCC documents reveal that the phone will have software navigation keys, although it’s unclear if it will also have an Infinity display. Samsung has been shifting to software navigation keys for all devices this year, so it’s no longer as simple as equating the lack of a hard home button with an Infinity design. But the Galaxy J4+ may still have one, especially if its price tag is notably higher than the regular Galaxy J4. Will the Galaxy J4+ also have a side-mounted fingerprint sensor like the Galaxy J6+ (which could also launch with the Prime tag in some markets)? That remains to be seen as well, and with support pages for both the Galaxy J4+ and Galaxy J6+ having gone live on Samsung’s website, it shouldn’t be long before we get an official answer.